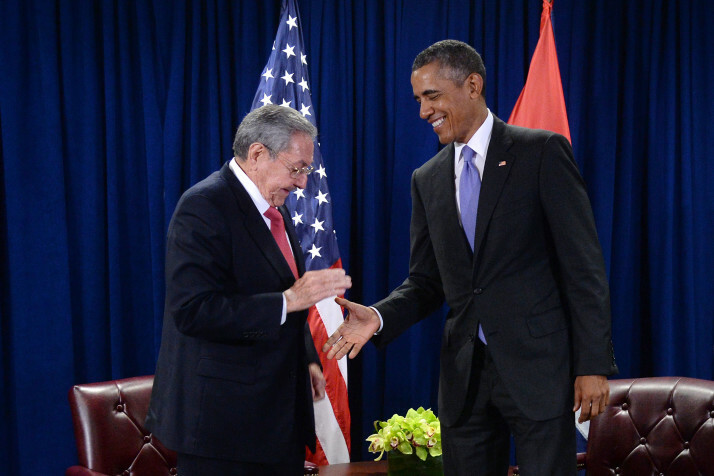 HAVANA: In the course of President Obama’s visit to Cuba on March 20–22, 2016, the issue of supposed Cuban “political prisoners” took centre stage in Cuba–US relations for at least 24 hours in much of the international mainstream media. The sets of international foreign television outlets were situated on a floor of the emblematic Lonja del Comercio (the fully renovated former Stock Exchange in pre-revolutionary Cuba) overlooking Old Havana. A cacophony of phrases from the reporters about political prisoners emanated from the sets. It seemed that “Obama in Cuba” had become equated with “political prisoners.” The only exception appeared to be TeleSUR, based in Caracas, Venezuela. …as we do wherever we go around the world, I made it clear that the United States will continue to speak up on behalf of democracy, including the right of the Cuban people to decide their own future. We’ll speak out on behalf of universal human rights, including freedom of speech, and assembly, and religion. The tone of the US President’s remarks, couched in a very diplomatic speech, was not overtly hostile and did not contain accusations as such against the Cuban government. There was no mention of political prisoners. One can say, as indeed Obama himself stated, that this is the basic narrative of the US when dealing with some countries. However, the haughty White House-lecture to Cuba on democracy and human rights, as many Cuban colleagues justifiably consider it to be, are based on the exclusive notions held by the US of democracy and human rights. They are often directed to some Third World countries on a very arbitrary basis with varying emphasis and priority depending on the affinity of these countries to US foreign policy. After the presentations by the two heads of state in the joint press conference, the floor was opened to questions from the large number of international and Cuban journalists. Obama immediately recognized the source of the first query: Jim Acosta, the Senior White House Correspondent for CNN. As Acosta indicated in his introduction to his question directed to Raúl Castro, he is a Cuban-American whose parents left Cuba. Such a prelude may serve as credentials, in the eyes of a reporter, to ask any question. This would allow for the ensuing interrogation to be carried out despite the reporter’s virtually non-existent knowledge about Cuba, which has been circumscribed by his deeply ingrained preconceived US views of Cuba. 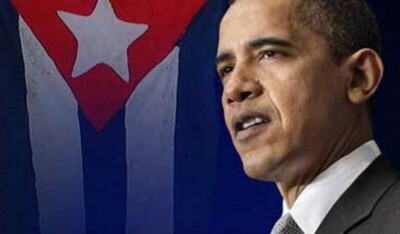 And, President Castro, my father is Cuban. He left for the United States when he was young. Do you see a new and democratic direction for your country? And why [do] you have Cuban political prisoners? And why don’t you release them? Give me the list of political prisoners and I will release them immediately. Just mention a list. What political prisoners? Give me a name or names. After this meeting is over, you can give me a list of political prisoners. And if we have those political prisoners, they will be released before tonight ends. …the selection of right-thinking personnel and by the editors’ and working journalists’ internalization of priorities and definitions of news-worthiness that conform to the institution’s policy. Arnold August, a Canadian journalist and lecturer, is the author of Democracy in Cuba and the 1997–98 Elections and, more recently, Cuba and Its Neighbours: Democracy in Motion. Cuba’s neighbours under consideration are, on the one hand, the US and, on the other hand, Venezuela, Bolivia and Ecuador.